“A black cat walked past, and then another that looked just like it,” Neo told his black leather-clad cohorts, much to their horror. Deva Vu, they explained, was a bad thing in The Matrix - it meant something had been changed and Agent Smith and his besuited chums were about to do something dastardly. I had a pretty severe case of deja vu this week, although it was anything but bad, and not just because I wasn’t in some cyberpunk post-apocalyptic setting. 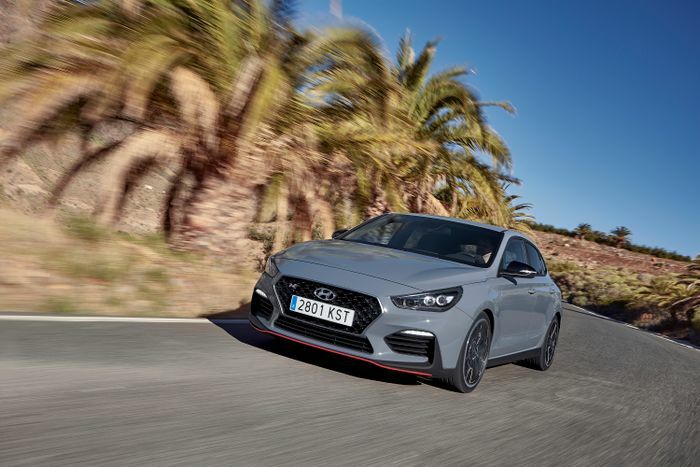 I was behind the wheel of the new Hyundai i30 Fastback N, experiencing a familiar feeling which was most welcome, rather than unsettling. To drive, it feels much the same as the hatchback. When I tried a prototype version last year it did feel different to the hatchback I’d just gotten out of due to softened front springs, a slightly less beefy front anti-roll bar, extended bump stops and a new rear camber control arm, but there wasn’t much in it. And on the roads I sampled the Fastback on, I struggled to detect any noticeable differences in how this new car handles itself compared to what I remember the hatch being like. This is no bad thing since the regular i30 N is an exceptional hot hatchback. 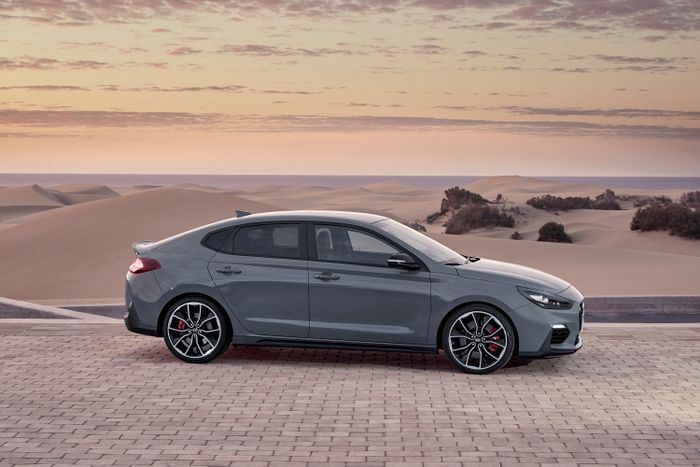 The Fastback has the same 271bhp 2.0-litre and the associated gutsy mid-range, the Hyundai-bespoke clutch-based front differential that’s so much more progressive than some of the mechanical LSDs used by competitors, plus the hatch’s fast, accurate steering and supremely sticky front end. It’s still a car that inspires incredible confidence, and under the right conditions, you can even adjust the rear with a cheeky lift. 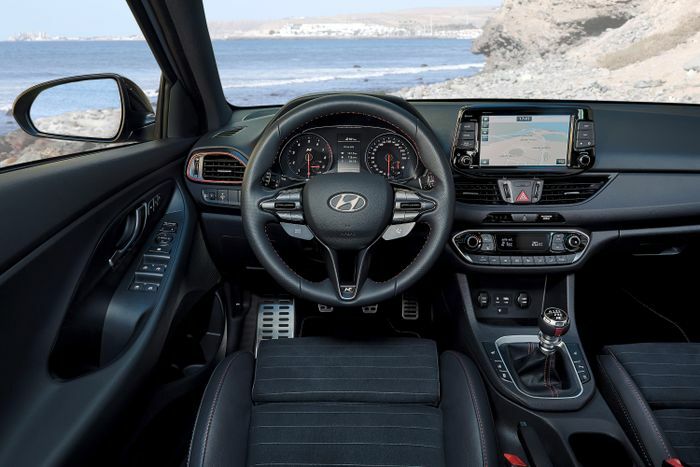 Is it a little more comfortable in ‘Normal’ mode than before, as Hyundai’s engineers intended? Perhaps, but it remains your best option for road use even in this slightly softer setup. Roll is nicely contained yet there’s enough give to soak up bumpy surfaces without the car feeling jittery and nervous - it settles down very quickly. The Sport suspension setting is just about acceptable, and Sport+ remains something that’s best reserved for the track. As well as sharing all the hatch’s best bits, the Fastback comes with all the less-so-good stuff too. The cabin’s not exactly lively and is even more dreary with the blue driving mode buttons on the steering wheel now finished in black. The pedals are springy and badly placed for rev-matching (there is an automatic system for this which is easy to turn on and off), and a Honda Civic Type R is tighter in almost every regard. 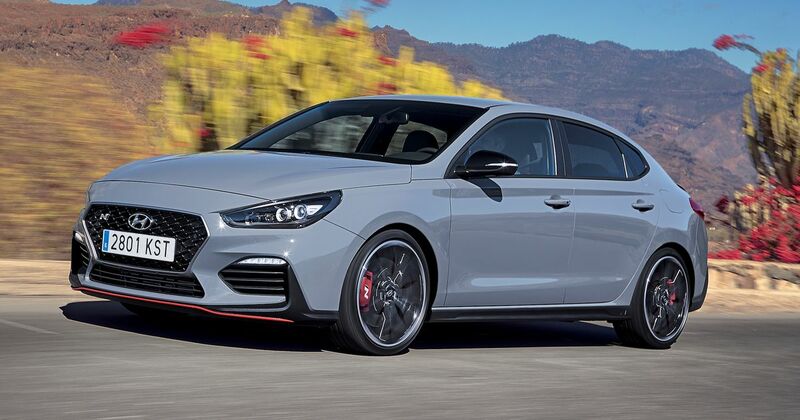 But it’s a close-run thing, and when you consider that the i30 N - particularly in fastback form - looks far better than the, erm, visually challenging Civic, the South Korean car claws it back. The engine feels gutsier and sounds better, plus the whole shebang is a lot cheaper. It’s not just better overall than the Type R, either - it might just be the best hot hatch you can buy right now. 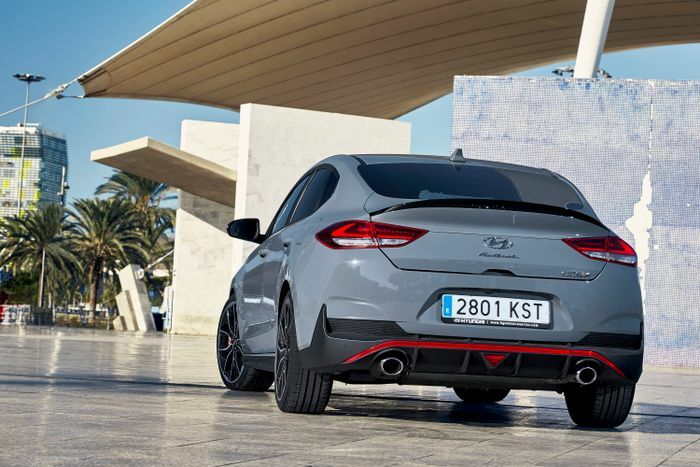 Rather than being surprising in any way, the Fastback reminds us of the incredible achievement Hyundai has pulled off - to have entered the hot hatch arena as a complete newcomer and put together something which beats cars from manufacturers who’ve had generations of practice. Past masters Renault Sport must be fuming following the mixed reception of its new Megane, and Peugeot Sport is surely quite miffed too. 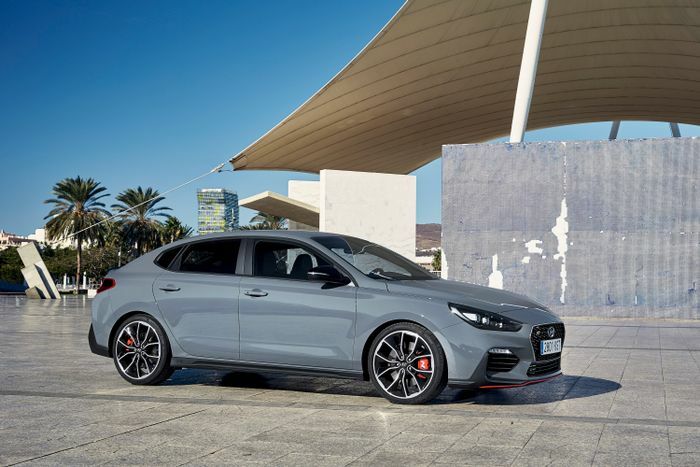 In making the i30 N Fastback, Hyundai merely takes its winning formula and sticks it into a new body shape, effectively creating a car that doesn’t have any direct competition. It’s probably not the version I’d have - I find the hatchback’s back end sportier to look at and the Fastback’s a little stumpy from some angles, and the rear visibility is noticeably worse in the latter car. But if you dig the car’s curves, Hyundai won’t even charge you that much more: at £29,995, it’s only £500 pricier. Really, Hyundai, you’re spoiling us.